Besides acquiring and refurbishing a stock of brand new Yantar watches, OCEAN7 will carry on the flame of the Yantar design. For trade mark reasons OCEAN7 can no longer use the trade mark Yantar, so they have instead registered the brand AirNautic, which was the name of the Yantar collection. The particularity of the AirNautic design is the division of the dial in 24 hours. But unlike most 24h watches which start the day at 0° (“12 at the bottom“), the AirNautic starts the day at 180° (“12 at the top”) like on the Greenwich clock. Irrelevant of the angle (0° or 180°), a 24 dial draws direct inspiration from the gnomon, one of the earliest method of keeping track of time. The “clockwise” direction of analog hands was initially meant to mimick the rotation of the Sun across the sky (or shadow around the gnomon). It seems that OCEAN7 plans to use the name AirNautic for each one of its 24h dial watches. 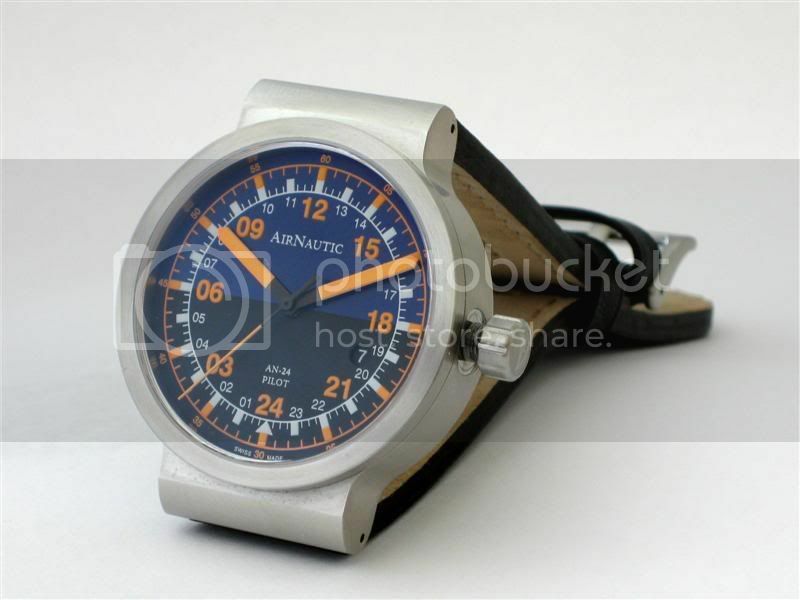 And now, a year down the road, the AN-24 is still the only handsome watch that AirNautic makes. Their other designs are disasters; this one is gorgeous. They even improved on the Yantar somewhat — but there again, I think they hired an outside designer to do it. Currently they are producing a lot of ugly, malproportioned, whimsical junk.